April 4 marked the 50th anniversary of the assassination of Martin Luther King, Jr. The CLC asked several Texas Baptists to write on aspects of Dr. King’s ministry and influence. This is the fifth article. By John D. Ogletree, Jr.
One of the greatest demonstrations of love in American history came through the life of Martin Luther King, Jr. The irony of this statement is that during the Civil Rights Movement he was no doubt the most hated man in America. Love, however, was his antidote for hate. Twentieth century philosopher-theologian Josiah Royce founded the Fellowship of Reconciliation, of which King was a member. Royce coined the term, “The Beloved Community.” King popularized the term and gave it deeper meaning that was embraced by a broad group of people in the Civil Rights Movement. To King, the goal of the Beloved Community was to have a critical mass of people who would be committed to and trained in the philosophy of nonviolence. Today, because of love, there are many friends who have crossed over the river of hatred to join the fight for equality and justice. Love is powerful! This ethic of love enabled King to correlate non-violence with the faith of those who were a part of the movement. He saw Jesus rejecting hatred and vengeance. While suffering excruciating pain on the cross of Calvary, Jesus Christ, the man who Pilate found no fault in and who had never sinned, cried out: “Father, forgive them, they do not know what they are doing.” Now, that’s true love! We need to revive this ethic of love for the times in which we live. Today, we see ideological polarization in politics, the resurgence of neo-Nazi/white supremacists, the demonization of immigrants, and the rise of classism and sexism in America. The message and model of Dr. King to love is still the answer. His answer to death threats, church bombings, lynching, billy-clubs, fire hoses, racial epithets, arrests, beatings, and murder was agape love. Let’s honor him by emulating his ethic of love. 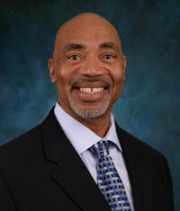 John D. Ogletree, Jr., is pastor of First Metropolitan Church in Houston and has served Texas Baptists in numerous leadership positions. He also is president of the Cypress-Fairbanks School Board.